Update and Comment on Blacklock’s Latest Move and Mega Motion: Be Careful What You Wish For? Blacklock’s will be back in the Federal Court tomorrow on December 12, 2018 at 90 Sparks St. in Ottawa at 9:30 AM with a “mega” motion record of almost 3,000 pages. Blacklock’s is certainly very determined. It badly lost a Federal Court case alleging copyright infringement in 2016, which it did not appeal. It was then ordered to pay costs of $65,000 – a ruling which it appealed and badly lost. Excerpts from these rulings and links are provided below. Following these defeats in 2016, there have been innumerable “docket” events in the active cases – see T-2090-14 for example culminating in the current massive motion filed on August 27, 2018. Blacklock’s changed counsel – but only on January 10, 2018. Note that Blacklock’s former counsel was Yavar Hameed, a well respected and experienced public interest Federal Court litigator. Its new counsel is Scott Miller of MBM Intellectual Property Law LLP. 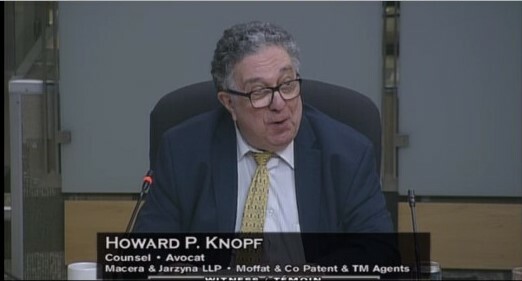 Interestingly, in what can only be an incredibly ironic coincidence, Mr. Kaufman has just been appointed as on December 5, 2018 as a Master of the Superior Court of Ontario – an important position in the administration of justice and an overwhelming endorsement of Mr. Kaufman’s personal and professional qualifications. Here’s just one outside-the-courtroom example of Blacklock’s attacks directed against Mr. Kaufman, who enjoys an outstanding reputation in both the Federal and Ontario courts as a litigation counsel, published author and adjunct professor. 1. There are two parts to this motion, one that deals with allegations made by plaintiff's counsel against Mr. Kaufman as it relates to his handling of freelancers that provided affidavits and another that deals with amendments to the pleadings, amendments that are largely time-barred. Both parts of the motion should, for the most part, be rejected by this Court. 2. As it relates to the first part of this motion, the plaintiff alleges that Mr. Kaufman breached his professional obligations by asking freelance journalists to either attend for cross-examination or withdraw their affidavits on consent. Mr. Miller contends that the act of putting an affiant to an election is the suppression of evidence for which his client is entitled to punitive damages. These facts form the basis of his amendment. There is nothing improper with asking affiants if they are prepared to stand behind an affidavit. An affiant must be prepared to face cross-examination on their evidence. The amendments in relation to Mr. Kaufman's conduct arc improper and irrelevant to any cause of action. They should not be permitted by this Court. 3. As for the second part of this motion, the plaintiff seeks to amend the various statement of claims to: (a) add a claim that the plaintiff owns copyright in all of the articles; (b) add a new cause of action of the circumvention of a technological protection measure ("TPM") under section 41.1of the Copyright Act; ( c) add a claim that the defendant's activities were for a commercial purpose; (d) expand the claim to cover all articles that were available on Blacklock's website during the relevant time and not just the specific articles that were allegedly shared; (e) change the relief sought, including adding new declarations, a permanent injunction, and changing its damages claims to one where the plaintiff may elect either damages or statutory damages. These amendments, which were not brought at the first opportunity, change the nature and substance of the claim. Below are some comments based upon my concerns as an experienced copyright lawyer who cares about copyright policy and jurisprudence and also as a taxpayer observing the potentially very large claims against the Canadian government and the costs of defending this litany of litigation. First, here’s some background. Blacklock’s won a Small Claims Court victory in 2015 against the Canadian Vintners Association for $11,470 plus punitive damages of $2,000 plus costs in a judgment that was clearly wrongly decided but not appealed for obvious practical reasons – and which was, in any event, of virtually no precedential value, being a Small Claims Court decision. Blacklock’s is now presumably but arguably very belatedly placing high hopes on the last sentence, which appears to be meant as a general comment for future litigants and not as an invitation or encouragement to Blacklock’s. Justice Barnes came to the right decision based upon the evidence before him, which included Blacklock’s use of a paywall and password protection. Litigants always have an obligation to put their “best foot forward at the first opportunity”. In an unusually trenchant costs award, Justice Barnes of the Federal Court has ruled that Blacklock’s must pay the taxpayers of Canada an “all-inclusive amount of $65,000 plus interest….” This follows decisively upon Blacklock’s clear loss in the first case of what I have called a “litany of litigation” of 11 lawsuits against the Government of Canada and/or its agencies, not to mention several other cases against other parties in the Federal and Ontario courts. Flashing forward to the current motion and nearly two years of inconclusive proceedings before two Case Management Judges of the Federal Court, here are some further comments on the current mega motion. If Blacklock’s somehow succeeds in getting its proposed amendments allowed, its troubles may seriously increase. It will have to convince one or more trial judges and potentially the FCA and SCC that that the law and the facts are on its side, despite the fact it chose to go forward with the facts that have already been presented to Justice Barnes – who clearly ruled adversely. In this country, we have principles known as “issue estoppel” and “res judicata” – and in common English for litigants to put their “best foot forward at the first opportunity”. Blacklock’s has a tough road ahead. It faces a potentially very large costs award – even if it wins this pleadings amendment motion – and far more if it succeeds on the motion but loses at the trials. Even if these facts can be proven, it’s arguably extremely unlikely that any court could correctly conclude that they amount to actionable “circumvention”. This will not be decided on this motion – where Blacklock’s needs only to establish a “reasonable prospect of success.” However, it’s very arguable that Blacklock’s has no “reasonable prospect of success” on the circumvention claims - which is the required threshold it must meet according to the case law to amend at this late stage – even leaving aside other issues, such a limitation periods. Even if it somehow succeeds Blacklock’s will have a very uphill battle going forward if it crosses this threshold. Recall that Justice Barnes made it clear in para. 45 of this substantive judgement quoted above that: “It also goes without saying that whatever business model Blacklock’s employs it is always subject to the fair dealing rights of third parties. To put it another way, Blacklock’s is not entitled to special treatment because its financial interests may be adversely affected by the fair use of its material.” That statement is NOT obiter dicta. It is the heart of the “ratio decidendi” of this decision and is a binding and very precedential. If the Court ultimately concludes that the mere copying of material or even an entire article behind a paywall in a manner that amounts to fair dealing is actionable circumvention, the legislation will need to be changed. However, when one looks at the legislation and the difference between “access” and “copy” control, the legislation is sufficiently clear to show that what is going on here is not actionable circumvention. Even if there is circumvention leading to unauthorized copying, the government departments are not engaged in a “service” of offering unauthorized copying – which is what s. 41.1 requires. Leaving aside proper interpretation of the statute for the moment (which, of course, the Court cannot avoid), consider from a common-sense point of view how incongruous it would be for a court to find that merely cutting and pasting from – or even copying an entire article behind a paywall - is actionable circumvention. This happens countless millions of times a day when people share information for fair dealing purposes that may be on a password protected newspaper website such as the New York Times, The Economist, the Toronto Star, the Globe and Mail and even much smaller niche media such as Hill Times and the Wire Report, which may use password protected paywalls of varying sophistication and be more or less “effective” as a putative TPM. But they don’t sue their customers – who subscribe because they value the utility of the information and may actually need to conveniently share it for research purposes, for example. Above all, the intention of the legislation is stop hacking, decrypting, bypassing or “breaking” of digital locks or other devices to gain unauthorized “access” (none of which is happening here) – not to nail anyone who shares or reads any material behind a paywall – especially when such activity is “fair dealing”. In any case, “reading” is not something that is even covered by the Copyright Act. After the individual Respondent agreed to a consent judgment against him for $70,000, the case was “effectively uncontested”, as the Court noted. This was an “application” and not an “action”, which means that evidence can only be put in by affidavit and there are no “live” witnesses. The Respondents had filed written representations before the commencement the hearing but provided no evidence and did not cross-examine any of Nintendo’s witnesses on their affidavits. The Court requested and received further written final supplemental written submissions before the conclusion of the hearing. The respondents did not, although entitled, reply. Indeed, the Respondent’s counsel did not appear for the final oral argument. The Court proceeded on this basis to render a judgment in which all but the introductory 14 paragraphs of this 181 paragraph 51-page judgment are a virtually verbatim reproduction of Nintendo’s final supplemental written submissions. Paragraphs 14 and thereafter until the conclusion of the judgment track paragraphs 14 and thereafter of Nintendo’s supplemental written submissions. There is nothing necessarily improper about a judge copying material from a party’s memorandum. The learned and very experienced trial judge provided acknowledgement of his request for the supplemental written submissions and how they were used. That satisfies a requirement that has been dealt with by the Federal Court of Appeal in Apotex Inc. v. Janssen-Ortho Inc., 2009 FCA 212 (CanLII), where the need for explicit “acknowledgment” of the adoption of a party’s written submissions was addressed. For those further interested in jurisprudence on what the Supreme Court of Canada recently referred to as “the long tradition of judicial copying”, see Cojocaru v. British Columbia Women’s Hospital and Health Centre,  2 SCR 357, 2013 SCC 30. The real issue here is that the judgment makes some sweeping pronouncements and awards an enormous amount of very likely uncollectable damages based upon “effectively uncontested” arguments and unchallenged evidence that, in the result, leaves the Court with something not much different than a default proceeding. This left the Court without the benefit of full submissions and argumentation on some of the key issues and relevant case law. That is not the way the adversarial process normally works when we depend on it to generate binding precedents. In this case, we now have a judgment that, with respect, may be wrong in certain important aspects because the Court did not have the benefit of opposing arguments. Nintendo’s argument, as adopted into the decision resulted in an enormous – by Canadian standards – unprecedented award of statutory damages in respect of circumvention of TPM measures. It is based upon the Court’s conclusion that Nintendo is entitled to the maximum level of $20,000 of statutory damages are due “for each of the 585 Nintendo Games to which the Respondent’s circumvention devices provide unauthorized access” (para 141 if Judgement). (emphasis added). However, it is very doubtful that Nintendo was entitled to damages for “each” of these 585 works when there was no evidence that any of them were actually illegally copied by anyone. Moreover, it appears that the Court was not provided with arguably very relevant case law that might have at least resulted in an award of a nominal fraction the maximum statutory damages of $20,000 per work. One can only begin to imagine the absurd result if such an approach to damages were used, for example, against a researcher (e.g. a university professor or student) who somehow gains unauthorized access to a newspaper website or other research database, perhaps reads a single article, is found to have “circumvented” a TPM, and is then held liable for $20,000 for each the tens or hundreds of thousands of individual articles that were never downloaded or even read on the website. Coincidentally, the defendants’ law firm in the Nintendo case was the same firm now representing Blacklock’s – namely MBM Intellectual Property Law LLP. Blacklock’s also faces significant hurdles if it hopes to win a pot of gold at the end of the rainbow based on large damages award either from copyright infringement or circumvention of all of the articles in its database, or even the thousands of locked articles. Even if liability is somehow established based upon the proposed new pleadings, the amount of statutory minimum damages can be reduced, depending on the circumstances, to an effectively nominal amount and there is ample case law establishing that statutory minimum damages must bear some correlation to actual damages, which in these cases would likely be at most the cost of a one-year institutional subscription, i.e. $15 to $17 K or so for each of the government departments. The government is under no obligation to have multiyear subscriptions to Blacklock’s. · Even if Blacklock’s succeeds in amending the pleadings in some of these case, it could face very large costs consequence because of, inter alia, prejudice to the defendants and the sheer scope of this motion, including the very serious and even “personal” nature of the allegations and attacks against former AGC counsel Alexandre Kaufman ­­­– now Master Kaufman. Will this turn out for Blacklock’s to be an example of the old adage about “be careful what you wish for”? 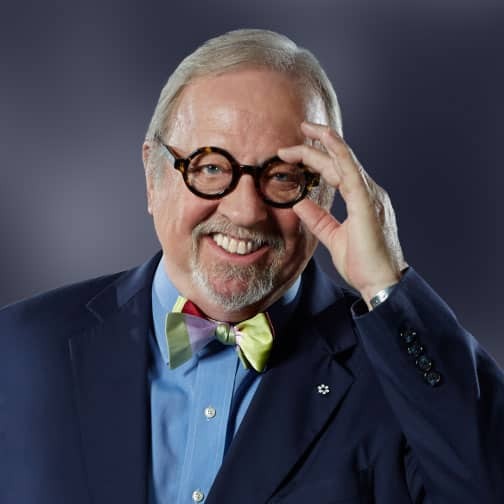 The legendary Michael Enright – host forever of the slowly declining but still usually worthwhile Sunday Edition on CBC – has let his listeners and the CBC down badly today with his weekly "essay" entitled “A new survey shows how poorly writers are paid in this country”. It is apparently based on little if anything more than a Writers’ Union of Canada (“WUC”) undated press release (which he acknowledges) based in turn upon a so-called “survey” of so-called writers that yields the much quoted and highly misleading result that the average Canadian writer makes only $9,380 a year and the incomes are falling fast. He says that: “In 2012, the Harperites changed the copyright laws, reducing writers' share of educational copying by tens of millions of dollars. The government's argument was that reducing the writers' compensation would help the education sector.” This, of course, is legally and factually false. Sadly, his “essay” can charitably be called “fake news” at best. The timing is interesting, coming just a day before what promises to be an eventful #INDU committee hearing on December 3, 2018 that will include Prof. Ariel Katz and Barry Sookman and amid lots of other hot and heavy committee hearings lately sadly full of fake news. The obvious problem is that the survey respondents here are self-selecting and self-defining. Almost anyone can qualify to be an Access Copyright (“AC”) creator affiliate – and it’s not much harder to be a Writers’ Union member, since even a self-published book “that successfully demonstrates commercial intent and professionalism” gets one in the door – for whatever benefit if any that may be available. At least it presumably still doesn’t cost anything to join Access Copyright. I should disclose that I’ve been a member for years and earned almost $85 this past year in royalties – more than many. I obviously don’t consider myself a professional writer – though I write constantly – and I’m not about to quit my day job. Waving a magic legislative wand to double my AC payout would get me a modest lunch for two at a decent restaurant without a bottle of wine – but could cost hundreds of millions of dollars a year to the Canadian educational system. If Michael and/or his staff did any other research beyond WUC and perhaps Access Copyright propaganda, its not apparent. Anyway, here are my three tweets back to @CBCSunday. I’ve listened to Michael for decades and he’s a treasure – so it’s sad to see him and his staff get played this way, or maybe even sadder still if he has lost his sense of journalistic balance and the need for adequate research.